The list of new attractions, major anniversaries, and travel trends in Wisconsin for 2018 lives up to the state’s penchant for fun in the most original, quirky, classy, and carefree ways. 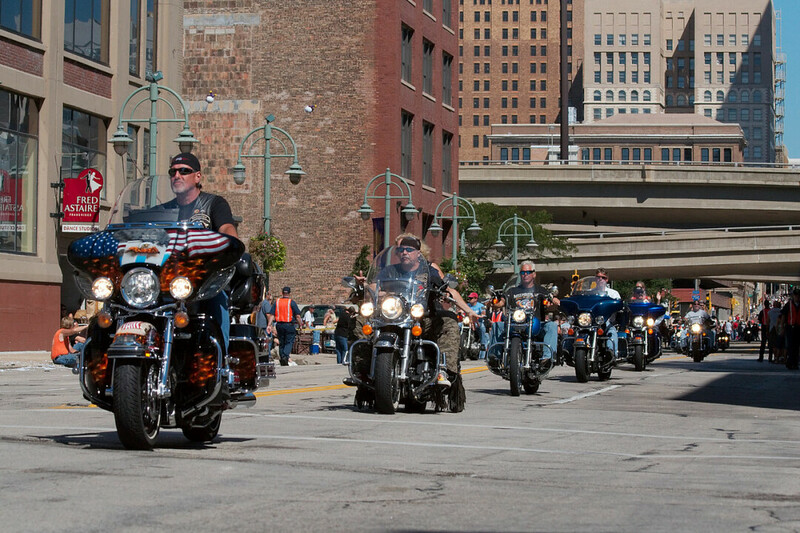 Harley-Davidson celebrates its 115th anniversary with a big bash in its hometown of Milwaukee, Labor Day Weekend, Aug. 29-Sept. 2. Join in the parties at the Harley-Davidson Museum and local dealerships. And yes, there will be an epic parade through the city, just as we’ve come to expect from this venerable brand. Bonus: It’s also the 35th anniversary of H.O.G., short for Harley Owners Group. Can’t make it to Milwaukee? You can always head to Prague, Czech Republic, where they’ll be holding an anniversary event July 5-8. This company never does anything small. Learn more at www.harley-davidson.com. The Great River Road has officially achieved octogenarian status, at least as the designated scenic route along the Mississippi River from where it springs in Lake Itasca in Minnesota to New Orleans. (We all know this waterway has been around for millennia.) Established in 1938 by stringing together existing roads, auto tours, and state trunks, it is Wisconsin’s only National Scenic Byway. Make this the year to visit all 33 historic river towns, some dating back to the 1600s, along the 250-mile Wisconsin stretch of the byway. Learn more at www.experiencemississippiriver.com. The American Club in Kohler marks its centennial this year. The Kohler Co. – yes, the plumbing empire – built the hotel in 1918 as the dormitory for immigrant factory workers. It’s located directly across the street from the Kohler plant. Back then, this Tudor-style building had a bowling alley, barbershop, and pub, plus rooms and meals for single employees. Today this elegant Five-Star Five-Diamond hotel is favored by golfers, spa-goers, and foodies. Watch for resort celebrations and special packages to mark the momentous milestone. Learn more at www.mericanclubresort.com. The Farm Wisconsin Discovery Center in Manitowoc opens this June. This 29,000- square-foot ag center, the largest of its kind in Wisconsin, is dedicated to the discovery of where food comes from, how it’s produced, who’s producing it, and why all that is important. Sure to be popular is a birthing barn where visitors can watch calves being born. While dairy will be the main draw, look for displays showcasing the diversity of Wisconsin agriculture, from cranberries to potatoes. Visitors will leave with a sense of the state’s agricultural past, present, and future. Learn more at www.buildwaec.org. 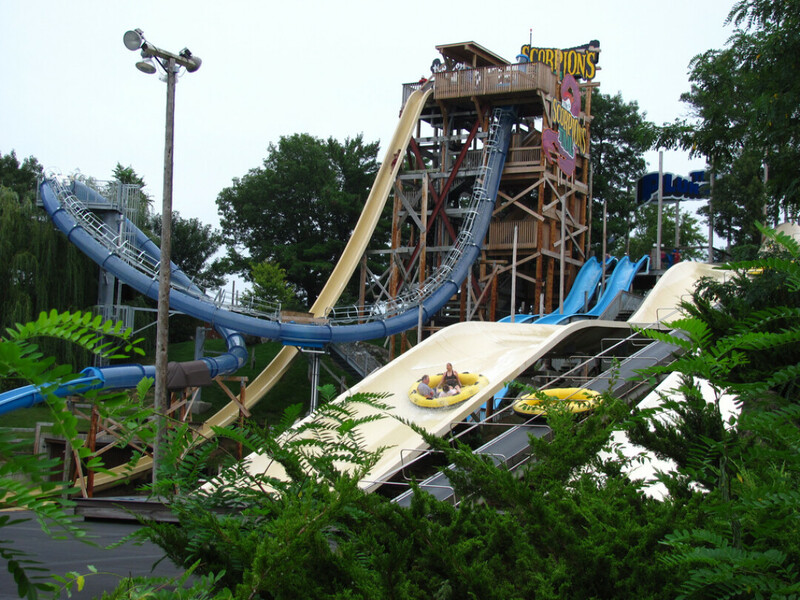 Noah’s Ark Waterpark in Wisconsin Dells is adding a new king cobra-themed waterslide for 2018. It’s not just any cobra-themed waterslide mind you, but the tallest and longest of its kind in the world. “Raja – The World’s Largest King Cobra” will have riders racing side-by-side on two-person tubes from six stories up, snaking through more than 335 feet of twists and turns at speeds up to 30 mph. The ride finale is a 37-foot plunge into the mouth of the massive king cobra. Noah’s Ark is America’s largest waterpark, featuring more than 50 rides and attractions spread out over 70 acres. Learn more at www.noahsarkwaterpark.com. The Green Bay Botanical Garden is hosting the LEGO exhibit known as Nature Connects this summer. Sixteen larger-than-life sculptures inspired by nature – think monarch butterfly, hummingbird on a trumpet flower, and pansy in bloom – made from a half-million LEGO blocks will be on display May 25-Aug. 19. The largest of the sculptures is a herd of deer, quite fitting for Wisconsin and coming in at a whopping 84,442 pieces. This is the only stop in Wisconsin for this nationally touring exhibit. Learn more at www.gbbg.org. The Milwaukee Public Museum has two special exhibits on the calendar for 2018. Opening this winter is “Maya: Hidden Worlds Revealed,” an exhibit that combines authentic artifacts and hands-on activities to shed light on this civilization known for hieroglyphic script, calendar-making, and mathematics. Then in the fall, it’s “Frogs: A Chorus of Colors,” offering a look at frog species, from lush rainforests to parched deserts, and their sometimes surprising and bizarre survival strategies. Learn more at www.mpm.edu. The Wausau Museum of Contemporary Art, which opened recently, features works by internationally established artists and offers creative workshops, too, with the goal of unleashing the region’s collective creative energy while starting the conversation about how art connects us all. The museum is located in the building that once housed the historic Wausau Club, a social club and banquet hall built at the turn of the 20th century. Admission to the museum is free. Learn more at www.wmoca.org. The Vox will be the new, permanent home for concert series coming to Marshfield, putting the town on the music map with artists whose concert schedule may include Minneapolis, Milwaukee. and Chicago. Located in an existing vacant building, it’s one more piece of the puzzle to create a downtown arts district that already includes shops and a movie theater. Learn more at www.voxmarshfield.com. The Sylvee concert hall in Madison is scheduled to open this fall, with the first concerts announced in the spring. Look for this 2,500-seat venue to host emerging artists, established icons, and community events too. Learn more at www.facebook.com/thesylvee. The Geneva Theater in Lake Geneva has undergone a multi-million-dollar historic restoration, bringing back some of the original elements from this 1928 building while adding modern amenities like surround sound, rocking leather chairs, and a dinner and wine menu. Along with films, 2018 will see the return of live chamber music to the stage here, as it was decades ago. Learn more at www.geneva4.com. The Trout Museum of Art in Appleton hosts a new exhibit that offers a comprehensive photographic record of Native Americans and their landscapes. “Edward Curtis – 150 Years” chronicles the work of this Whitewater native, born in 1868, whose career that began when he built his first camera at age 12. His monumental images of Native American life across North America are captured in gold-tone prints. The exhibit runs September through December. Learn more at www.troutmuseum.org. “Bucky on Parade” takes to the streets of Madison and Dane County May 7-Sept. 12, with some 100 Bucky Badger statues, each standing 6 feet tall and each decorated by a different local artist, displayed throughout the area. These artsy renditions of the beloved mascot of the UW-Madison should be an instant selfie hit. After the public art display, the Bucky statues will be auctioned off to raise funds for charitable organizations. This is an encore to the city’s highly successful “Cows on Parade.” Learn more at www.buckyonparade.com.